Last year, former Gov. Rick Scott and Florida legislators worked with school officials, mental health experts and law enforcement to create a law aimed at protecting Florida students and preventing firearms from falling into the hands of people intending harm on themselves or others. Lawmakers in the Florida House and Senate each filed corresponding legislation to address firearm and school safety. Later, the bills would be combined to create the Marjory Stoneman Douglas High School Safety Act. The Safety Act, signed into law by Scott, was the first sweeping legislative action in the state specifically meant to prevent more public mass shootings. During the 2018 legislative session after the Parkland shooting, Scott and lawmakers both proposed increasing the firearm purchase age from 18 to 21 and adding a three-day waiting period for all gun purchases. In the end, the bill Scott signed into law included a ban on sales to anyone under 21 and it prohibits persons committed to a mental institution or adjudicated mentally unsound from owning or buying firearms, or obtaining a concealed carry permit. This is known as a Risk Protection Order and can be appealed or a judge may decide not to extend the order. Florida lawmakers and Scott agreed to criminalize accessories that make rifles more automatic, including bump stocks and other devices. It does not include large capacity magazines or other firearm accessories. Under the new law, it is illegal in Florida to import, transfer, distribute, transport, sell or gift such devices in Florida. A University of Central Florida student was arrested in January for allegedly manufactoring such a device. Later this year, bump stocks and other similar firearm accessories will be illegal nationwide under a federal law. People held under the Baker Act or those deemed a threat to the community by family or law enforcement officials will be forced to surrender their weapons. Anyone involuntarily committed for mental health treatment would be required to surrender their firearms for a minimum of 60 days. After those 60 days, a judge will decide if they are eligible to own firearms again. Almost half a million dollars in safe school funding was designated to go toward upgrading security measures, including bullet-proof glass and metal detectors. One law enforcement officer for every 1,000 students is required to be at all Florida public schools under the Safety Act. All Florida schools were required to meet the new safety standards by the start of the 2018-2019 school year. Some struggled to do so due to staffing and funding issues with local law enforcement agencies. Here's how Central Florida schools did. Florida lawmakers earmarked nearly $70 million more toward mental health funding for Florida public schools. The amount each school received depended on the size of the district, with the largest districts receiving the lion's share of the money. Each school district was guaranteed at least $100,000. Many Central Florida school districts used the funding to increase mental health training for their staff and mental health screening for their students, and to hire more mental health professionals for their schools. 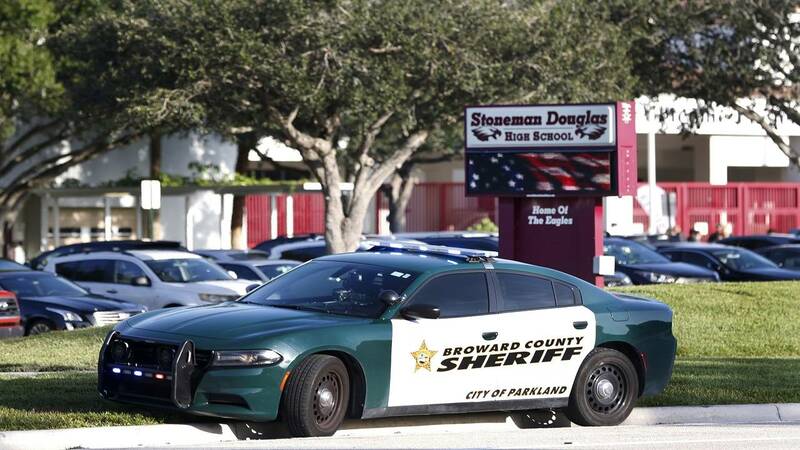 Under the law, Florida school districts may choose to participate in a guardian program, which is similar to the Polk County Sentinel Program under which school staff can be provided deputy training to volunteer for the program and will act as safe school officers. School staff who participate in the training, known as the Coach Aaron Feis Guardian Program, are eligible for a $500 stipend. Feis, a Marjory Stoneman Douglas High School coach and teacher, was among the 17 killed on Feb. 14, 2018. The Department of Education received $67 million from the General Revenue Fund to allocate to Sheriffs’ Offices who establish a school guardian program. After the law was enacted, a new division within Florida's Department of Education was established called the Office of Safe Schools. Damien Kelly, a former agent with the Florida Department of Law Enforcement, is the first Florida school safety director. Kelly worked with school districts over the summer to ensure they conducted security risk assessments this summer that were required by the new law. Read what else Kelly said he is doing in his new roll to protect students.